I’m a bit behind with this post as the month of Ramadan finished on Wednesday night 7th August. During Ramadan Muslims refrain from eating, drinking and other activities during daylight hours. Once the sun has set fasting is broken with the Iftar meal. I wrote here about having Iftar with all of Atef’s family. After the main meal is finished it is traditional to follow up with Katayef which is a favourite Ramadan dessert for Jordanians. And it’s best to get your fill of these delicious morsels as they are only made and available during the month of Ramadan. 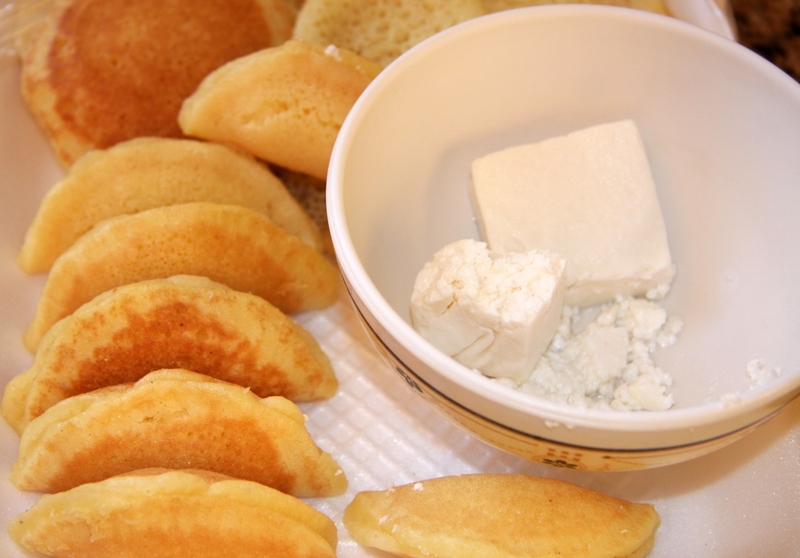 Katayef are pancakes made with a yeast-risen batter including flour, water and milk, are cooked on one side before being folded around cheese or a nut mixture, then typically deep-fried, or baked, and soaked in sugar syrup. I haven’t made the pancakes from scratch as all the bakeries in town cook them all day long to meet the demands of the people. 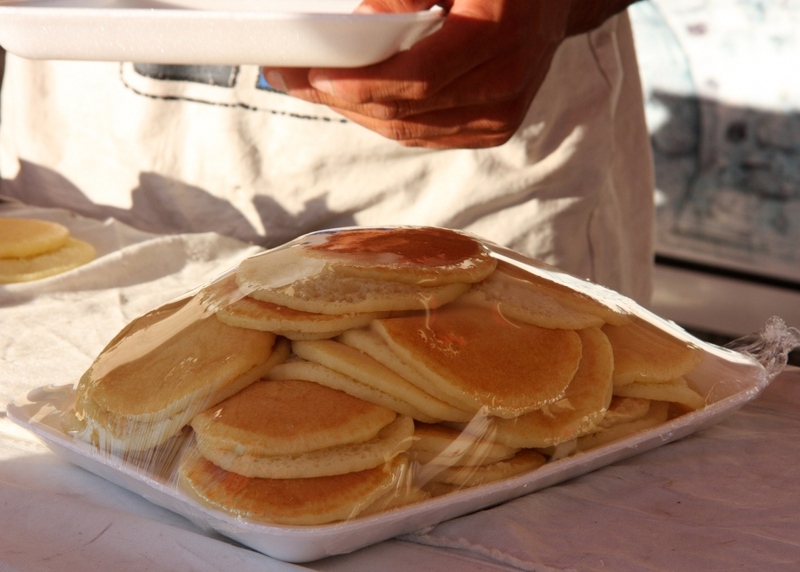 They cook thousands of the pancakes and you buy them by the half kilo or kilo. Atef and Alia placing an order for half kilo of small Katayef pancakes. 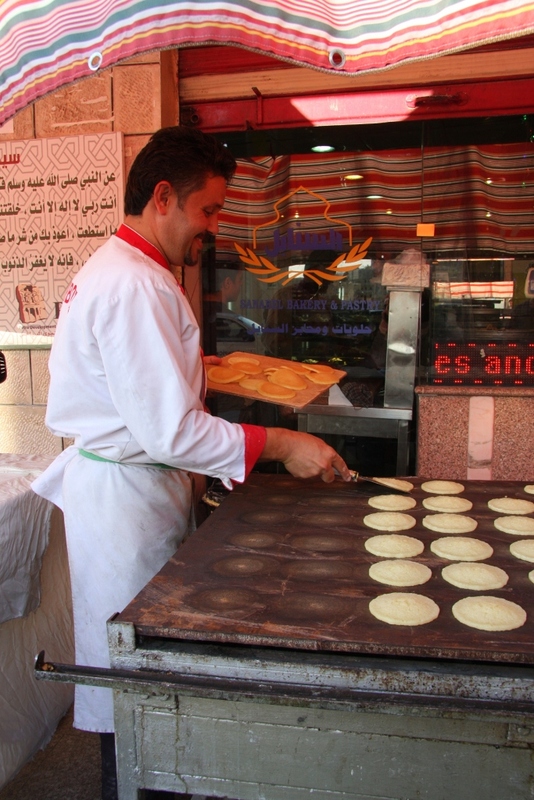 The small pancakes are called katayef asafiri which translates from Arabic to english as bird’s pancakes. Atef wasn’t sure why they are called this. 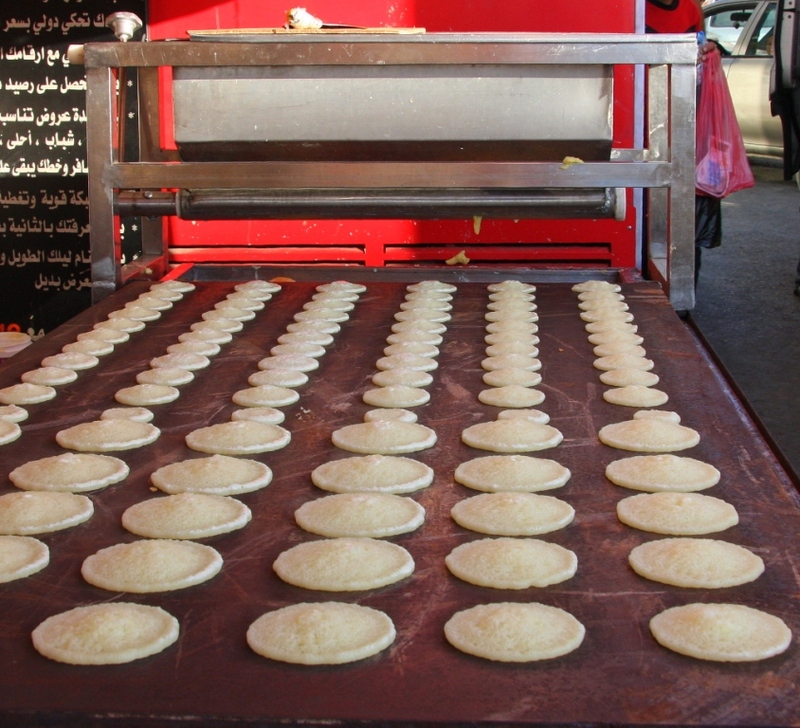 The Katayef production line set up outside one of the bakeries in town. Making the Katayef. 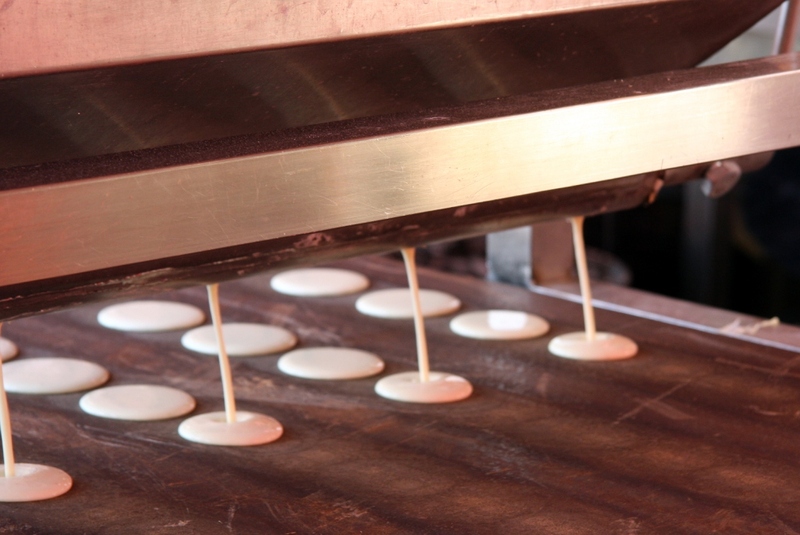 The pourer dispenses the mixture directly onto the large hot plate. Large Katayef in the front and our half kilo of small ones at the back. The Katayef are cooked on one side only. They are done when the top is covered in bubbles. This only take a minute or so. Flipping the hot Katayef off the hot plate. 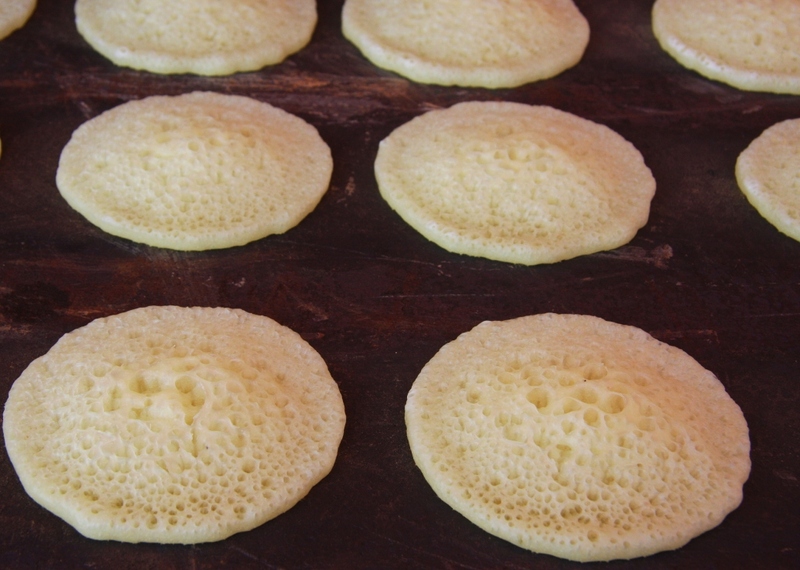 The cooked Katayef are sandwiched together to keep the top side moist. 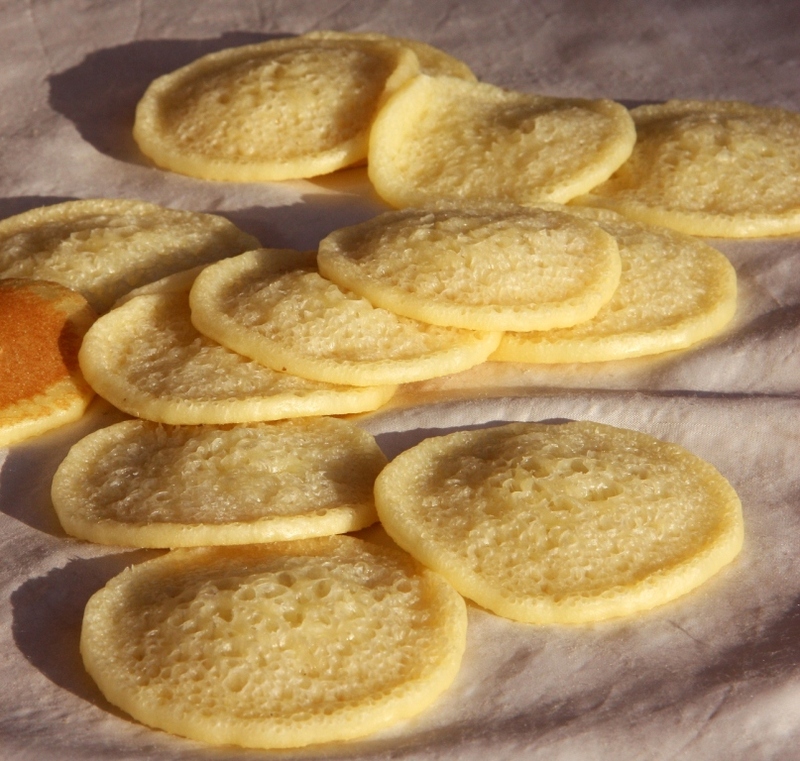 The top side is slightly sticky and when the pancake is filled and folded in half the edges are able to be pinched together to seal the katayef with the filling inside. The Katayef weighed out in kilo lots and ready for sale. 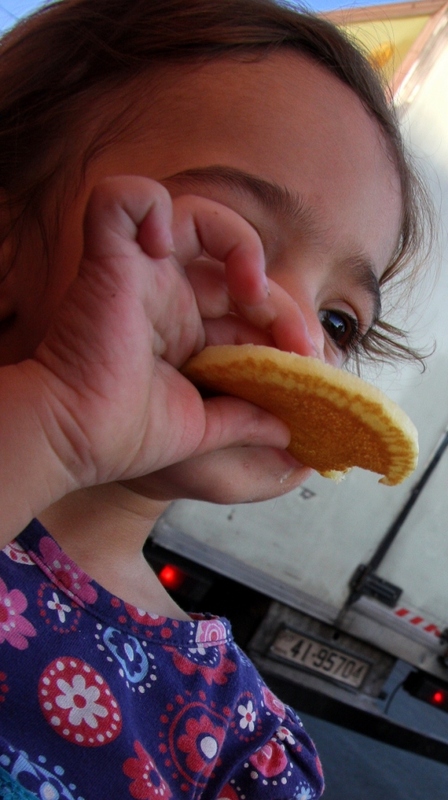 Alia loves eating the pancakes just as they are. 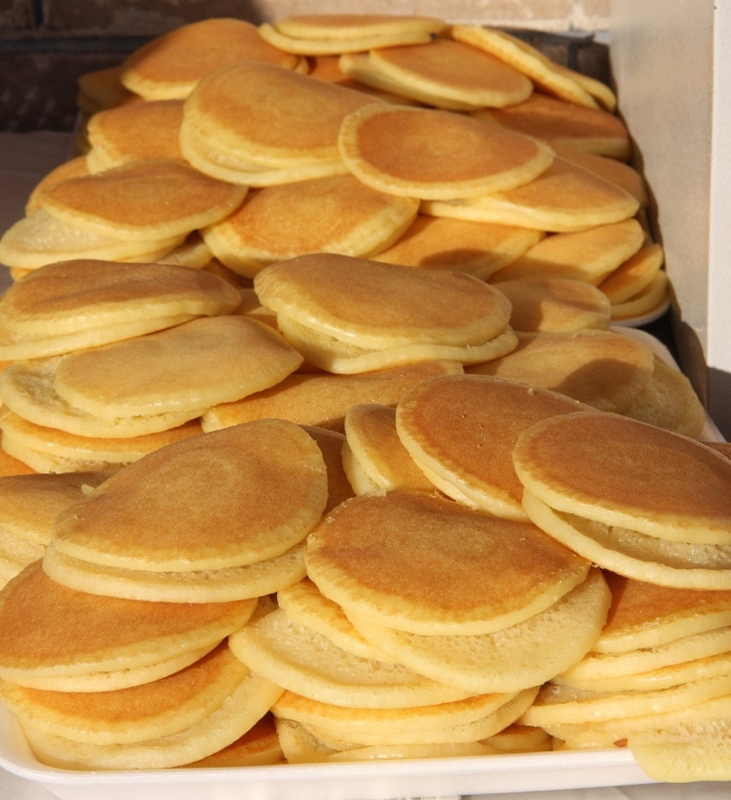 Once the pancakes are home then they are needed to be filled. Atef and I really enjoy the cheese filled Katayef, but other possible fillings include dates, crushed nuts and shredded coconut. 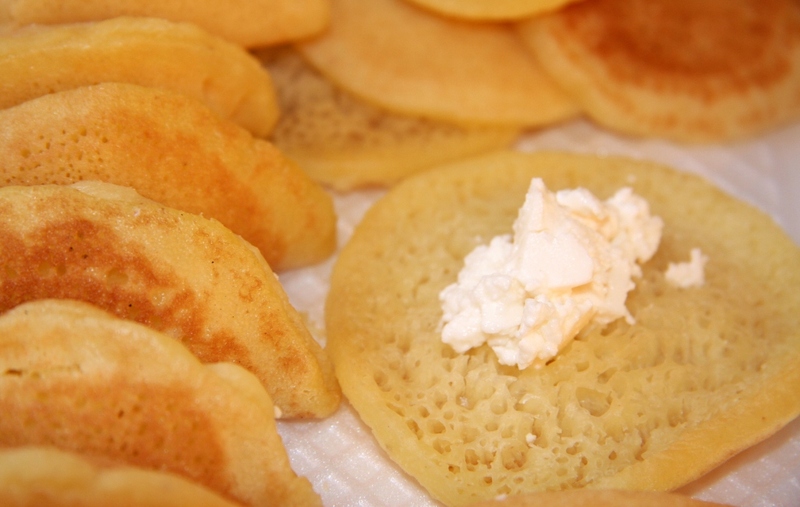 The cheese that is used to fill Katatyef is called Nabulsi. It is a white brined cheese named for the place of origin in Palestine, Nablus. It is similar in texture to Haloumi in that it is semi hard, but becomes soft and elastic when heated. 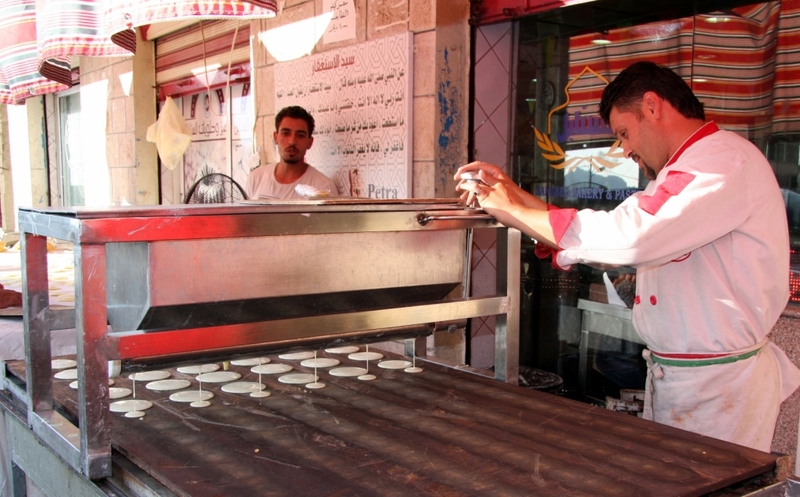 The cheese is rinsed to remove the salt brine prior to using in Katayef. Riccotta cheese would be an appropriate subsitute. 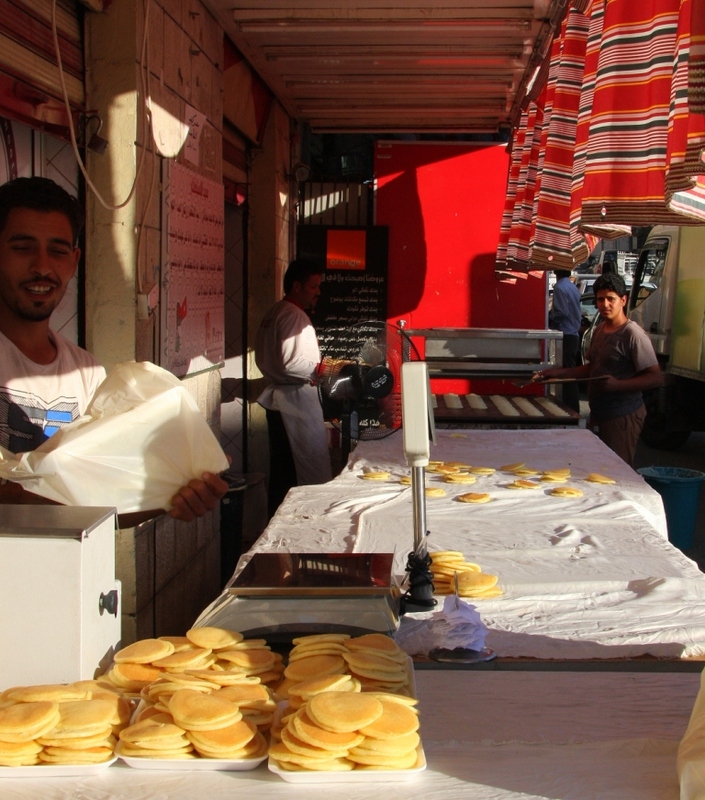 Once the Katayef are stuffed they are then cooked by frying them until they are golden brown and the pancake has become crispy and crunchy. They can be baked in the oven for the more health conscious but with Atef’s family and extended family and the only way I’ve ever eaten them is fried. Eating katayef is a real experience and treat for the tastebuds. The exterior is crispy whilst the inside is filled with soft melted cheese. The whole thing is drenched in sugar syrup which counteracts the slighty tangy flavour of the cheese. They are addictive and it is impossible to stop at just one! If you are wanting to try and recreate this desert at home then I would recommend checking out Sawsan’s Katayef recipe at her blog Chef in Disguise. Sawsan is a talented chef and her blog is beautiful and full of delicious Middle Eastern recipes. Her recipes are set out clearly and easily to follow. Do give them a go – you won’t be disappointed. ← Jordan – full of the unexpected. OK! On the quiet! Methinks I and Alia would get along just fine: I would have these just the way they come also 🙂 ! 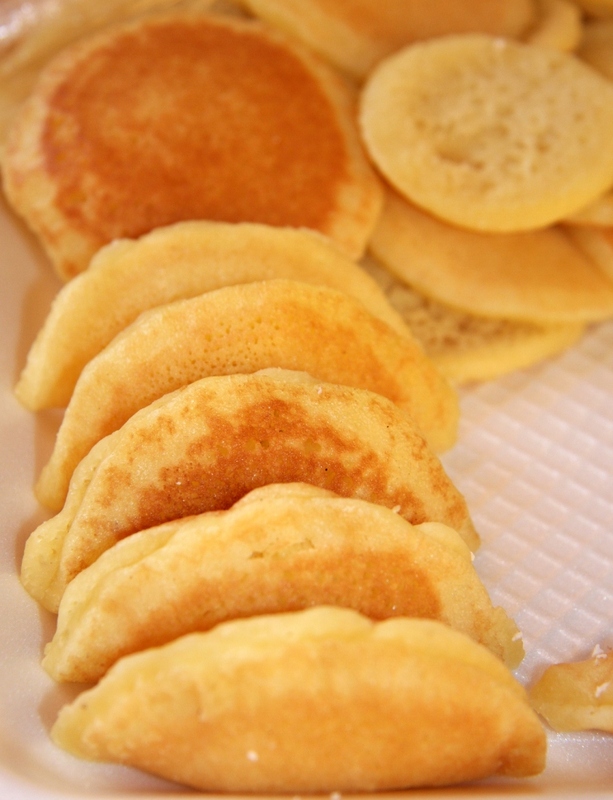 Hate to say and have not ‘done my research’ on a busy day, but I would almost have called these ‘pikelets’ 🙂 ! Oh yummo! 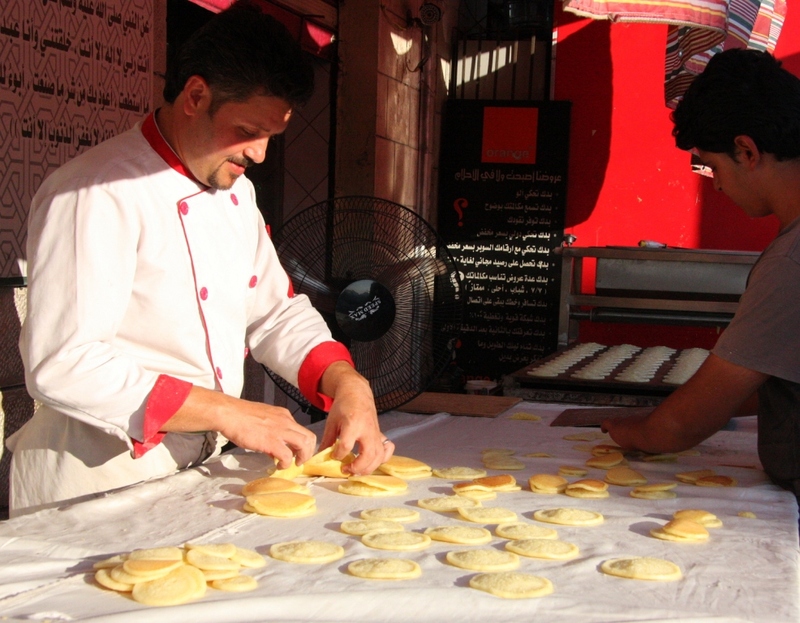 They sound delicious… I wonder it I could do the same with pikelets stuffed with nutella lol… I visited Jordan in April and fell in love with the country. Now I am counting down the days until I come again in January 🙂 Until then I shall enjoy the Aussie winter, as I read the Jordanian winter is verrrry cold! 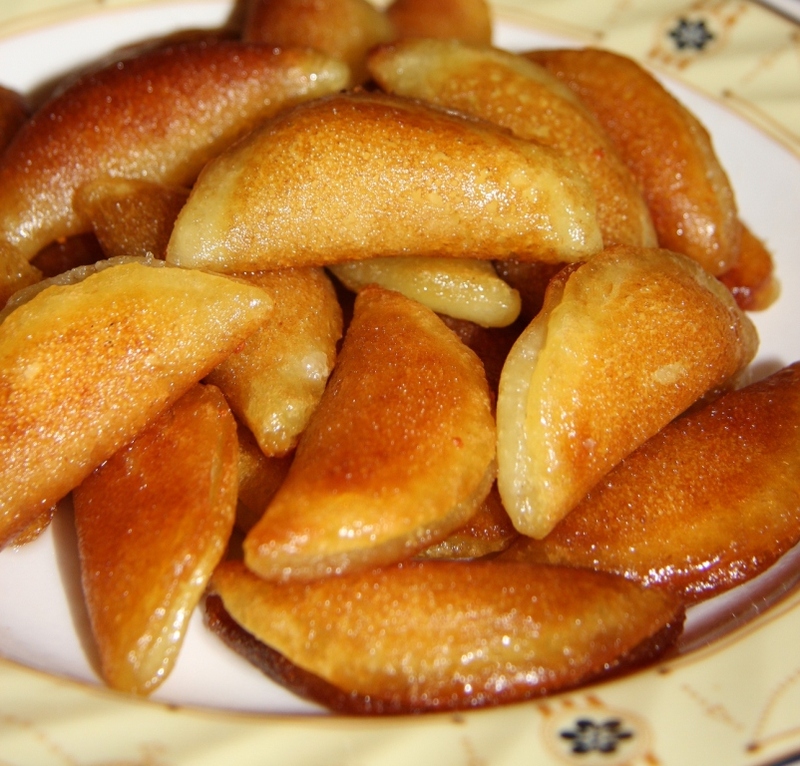 Katayef, in all it’s various forms, is quite possibly my favorite Arabian dessert. I’m always sad when Ramadan ends because I know I won’t see Katayef again for what seems an eternity! It’s probably just as well that they only cook Katayef for the month of Ramadan as I eat more than my fair share!!!! Definitely my favourite dessert as well. Kanefef is a close second!